The National Legal Research Group founded the legal research industry in 1969 to help solo practitioners, corporate counsel, and small firms enjoy the same powerful legal research and writing resources, but on an as-needed basis at an affordable price. Since we were founded, we have helped over 55,000 attorneys across projects nationwide, including Wyoming. Our team of attorneys is specialized by area of law and each attorney averages over 20 years of experience each. If you find yourself needing additional help with a case, contact us today to learn how we can help. B.A., University of Virginia, 1994. J.D., University of Florida Law School, 1998. Member, Maryland and D.C. Bars. Admitted, Fourth Circuit Court of Appeals. 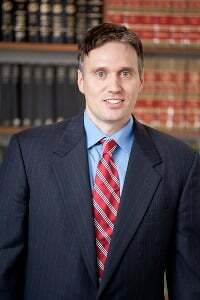 Prior to joining NLRG, Alistair clerked for a Maryland circuit court judge and worked in the litigation department of a Washington, D.C.-based law firm. Alistair concentrates on Property, Contracts, and Commercial Law. He has in-depth experience in mortgages, commercial and residential transactions, landlord and tenant law, adverse possession, easement law, real estate contracts, real estate financing, construction law, and oil and gas law. Read Full Bio. Our team of attorneys has helped our attorney-clients with pleadings in every state and federal court since 1969, including Wyoming. We can help you by preparing motions to compel, motions to strike, motions for summary judgement, motions to quash service, and more. NLRG's team has experience in cases ranging from complex multidistrict litigation to relatively simple state court proceedings. We have helped our attorney-clients with the following discovery-related services: deposition summaries, motions to compel discovery, interrogatories, requests for admissions, requests for production, and preparation for depositions. To get the extra help you need to win your case, contact our team today to learn more about our legal research and writing services. Our Wyoming legal research attorneys are also highly-experienced in legal writing. We have prepared briefs in every state and federal court, including Wyoming state courts. In addition, we can provide appellate brief writing services for Federal Courts of Appeal, Wyoming Courts of Appeal, the Wyoming Supreme Court, and the United States Supreme Court. We also offer appellate brief compliance review and filing through The Lex Group. Since our founding, we have helped attorneys with over 170,000 projects. Our highly-experienced team of attorneys can help you prepare objective legal memoranda for case evaluation, trial and appellate preparation, strategic planning, or any other purpose prior to or in support of litigation or transactional analysis. We can assist with Objective Memoranda, Memoranda in Support of Motions, Advocacy Memorandum, or Adversarial Memoranda. If a written product is not required, our attorneys can provide you with telephone and email reports for a more cost-effective solution. This allows you to gain access to our attorneys' legal research expertise for expert analysis of legal issues. If you would like to discuss this service to see if it is a good fit for you and your case, one of our attorneys would be happy to go over your options with you in more detail. To help you better meet your deadlines and save you a substantial amount of time, consider outsourcing your legal document review process to the expert attorney team at the National Legal Research Group. Our team can streamline this process for you at any stage of litigation. This can significantly free up your time to focus on other areas of your case. If you are considering acquiring additional legal research and writing services, we can provide you with these services on an as-needed basis, at affordable rates. All of your work will be completed by our U.S. based attorneys, each specialized by specific area of law and averaging over 20 years of experience each. Who completes your legal research and writing makes a difference, contact our expert team today to learn how we can help you with your case. "I have had several cases with very difficult and complete issues. I have worked with Fred Shackelford on matters for over 10 years and consider him my "go-to" guy in the area of torts and related issues of civil procedure. After practicing for nearly 24 years, the issues become more complex and the need to have cutting edge research abilities is key to a successful outcome. I am a professional client for life. Thank you very much for your help over the years." "A recent job regarding an opposition to a motion... went beyond and above all expectations of the usual superlative product I am used to obtaining from your firm. Your attorney did a marvelous job of exhaustively researching the issues and putting together a very coherent brief... The opposing attorney [requested] additional time to further brief the issues that were 'artfully raised.'... I wished that I could take credit for the brief... Win, lose, or draw, it was money well spent."